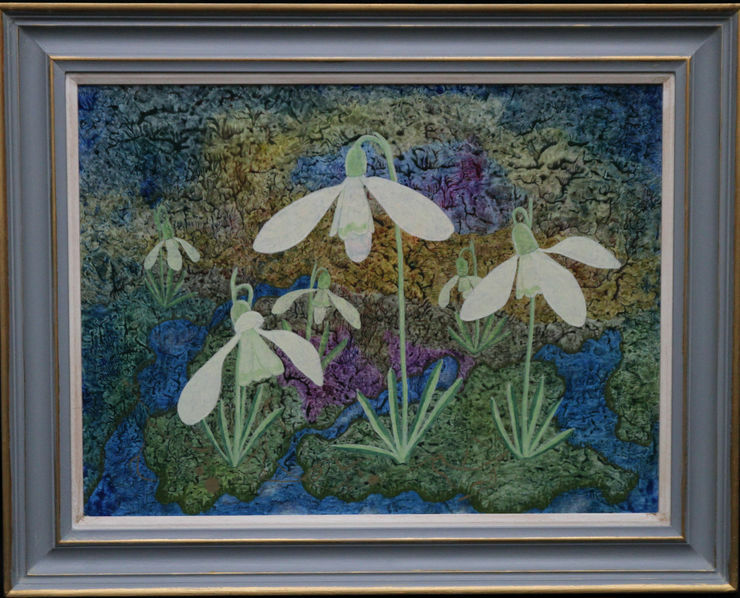 This striking Surrealist floral oil on board painting is by female artist Elvic Steele. It was painted in the 1960's and is entitled Bowed Heads verso. 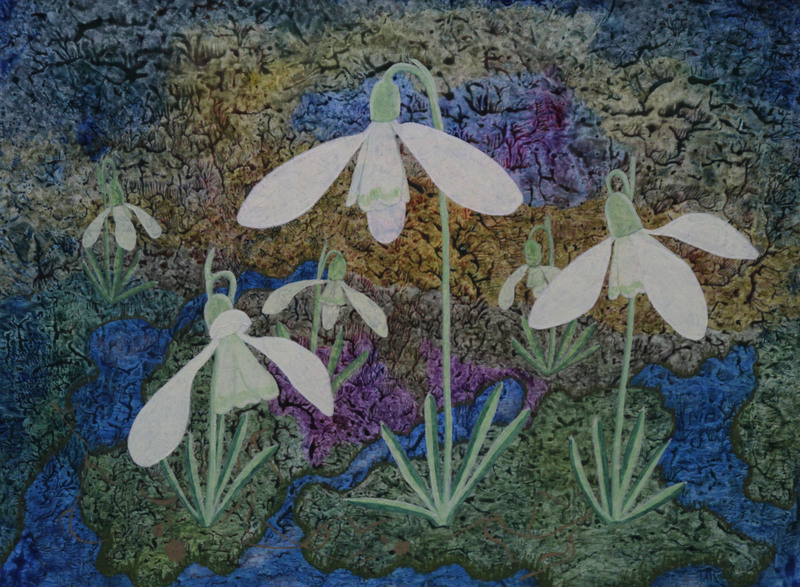 Six glorious large snowdrops stand out against a blue, purple, green and brown background. Painted in a surrealist palette this landscape painting has unique charm. The title and artist's name is inscribed verso. Housed in a complementary frame, 29 inches by 23 inches and in excellent condition. Elvic Steele (1920-1997) British female artist. Steele grew up in the countryside and developed a life long passion for nature. She became an experienced biologist and botanist as well as a keen gardener. Her interpretation of plants in her art, the attention to detail reveals the depth of her knowledge of nature. Elvic spent all of her adult life teaching in various schools near her home in Essex. In 1946 she was awarded a sabbatical to attend the East Anglian School of Painting and Drawing at Benton End in Suffolk, run by Sir Cedric Morris. It was in Morris' garden at Benton End that she found a great deal of her inspiration and continued studying and painting there until the 1970's. Elvic's work was regularly shown at the Colchester Art Society Exhibitions and she also had a solo exhibition in 1960 when she was in the Scilly Isles. On returning to Dunmow in Essex in 1963, she took Evening Classes at the Dunmow Art Group Meetings. There she exhibited in the Art Group's Exhibitions and in villages in the district. Whilst living in Leamington (1984-88) she had two solo exhibitions at the Royal Spa Centre and also showed at the Leamington Museum. At this time she also sent a number of paintings to the Benton End Group Exhibition in Essex.